Patients suffering from tooth loss quickly discover that the side effects of an open space in one’s smile presents significant challenges. Furthermore, patients dealing with the loss of multiple teeth will find that those challenges seem to become exponentially more difficult. Fortunately, we offer dental implants. An implant will replace your entire tooth – roots included – so you can regain your complete, functional smile that looks beautiful and natural. Wondering what makes implants so exceptional? Learn more about their advantages, so you may more easily determine whether this tooth replacement option is suited to your needs. Tooth loss results in an open space in your smile. Unfortunately, your remaining teeth will begin to shift in the direction of these open spaces. The result? Misaligned teeth. By placing a dental implant, you fill the open space, thereby preserving your smile’s current alignment. A smile with open spaces is not as esthetically pleasing as a uniform, complete smile. 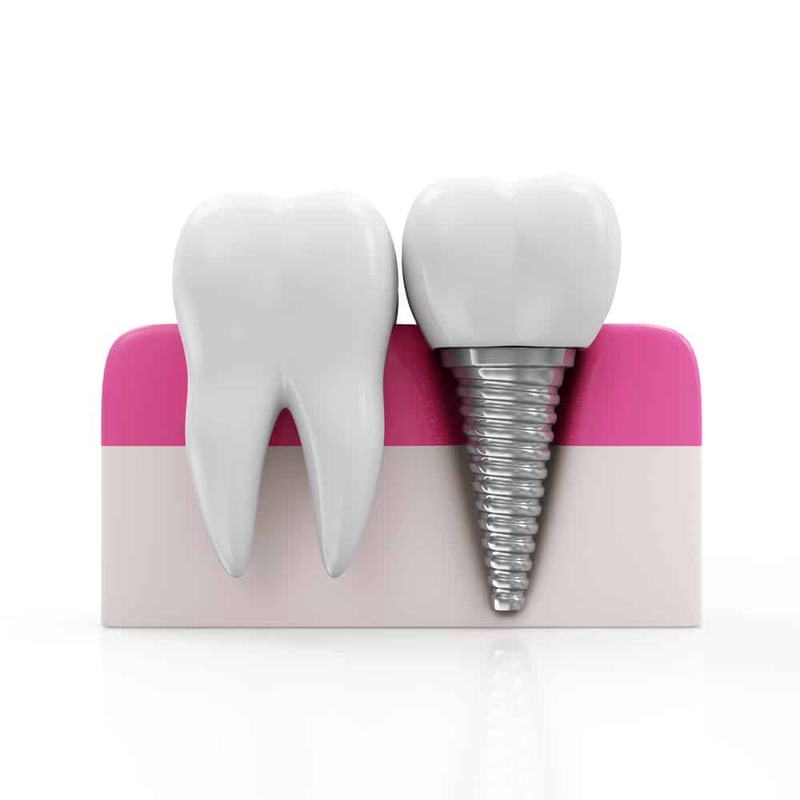 Implants provide you with a way to replace a single tooth, multiple teeth, or even a full arch of teeth regardless of your tooth loss pattern. Your restored smile will provide you with an instant boost of confidence. You will also find that filling the spaces in your smile will improve your dental hygiene as you will no longer need to work tirelessly to keep the open spaces free of debris. Speaking and chewing with missing teeth may prove quite difficult. Certain words may become too challenging to clearly pronounce, while certain foods may become off-limits. Fortunately, dental implants offer a truly stable tooth replacement that will rejuvenate your ability to speak with clarity and consume the foods you enjoy.